Windscreens – Repairs or Replacements? Noticing a chip or crack in your windscreen should be a call to action. Although it can be tempting to put it off until next week, even small damage can greatly reduce the safety and integrity of your vehicle. But sometimes it can be difficult to determine if the chip or crack in your car window needs repairing, or if the whole windscreen needs replacing. Let’s examine the difference. Generally, small superficial chips can get repaired. This stops the chip from spreading and causing further damage to your windscreen. It also means that you keep your original windscreen and factory seal. The size of the chip or crack will determine if it can get repaired instead of replaced. As a rule of thumb, any damage that is larger than 7 centimetres means that your windscreen will need a complete replacement. If the damage is smaller than that a simple repair job should suffice. Another important factor to consider is exactly where the damage occurred. Cracks or chips located at the edge of your windscreen have a tendency to spread at a rapid rate. These spreading cracks will compromise the safety of your windscreen and the safety of the driver and any occupants in the vehicle. 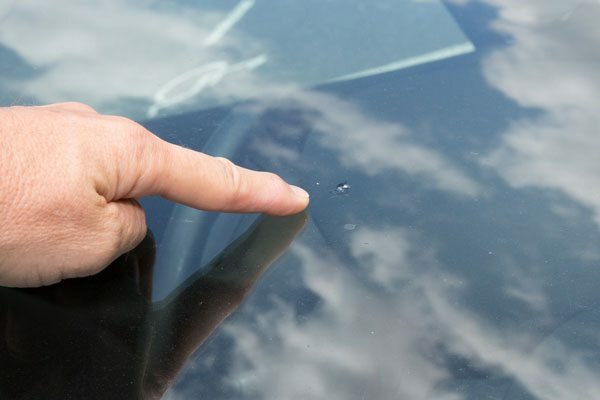 If you notice a small crack or chip at the edge of your windscreen, it’s best to get it repaired before it’s too late. Speaking of location, the position of the chip in relation to the driver’s line of vision is also an important factor in this decision. If a chip or crack is right in front of where the driver’s eyes rest, it is better practice to replace the entire windscreen. That said if the chip or crack is not in the drivers line of sight a window repair job is usually preferable! There are some benefits for choosing repair over a whole windscreen replacement To start with, time is valuable. A mobile windscreen repair service can often have you back behind the wheel quick smart, where a replacement job will take a little bit longer. Also, repairs tend to be the cheaper alternatives to replacement. If your car windscreen or window has suffered extensive damage, complete replacements are always the best option. Advanced Auto Glass operates in Sydney. We provide a comprehensive and professional windscreen repair and replacement service. Unsure what your windscreen needs? Please don’t hesitate to contact us. We’ll be able to assess the damage, and recommend the best course of action.